Another week and I am still on the same book. What is to blame? It is a physical ARC and I have been spoiled by my Kindle. Yep, there, I said it. I prefer my ebooks now and I swore that would NEVER happen. Never say never. Now don't get me wrong. I still love getting my signed books, and buying hardcovers for my bookshelves for their loveliness and magnificent aroma, but I just can't get comfy, especially if I am reading in bed. Tell Me Tuesday is co-hosted by me and my blogging bestie Brittersweet from PLEASE FEED the BOOKWORM. It is a weekly/bi-weekly feature where you tell us what you are reading and what you are hoping to read next from your TBR. We are followed by the ever so lovley Pili from IN LOVE with HANDMADE. We are always so curious why readers read what they read. So, seeing that I am still reading the brilliant Stone in the Sky, and I seriously neglected to add two TBR books to my Fall Reading List last TMT; this post will be all about those two books and their author. NAPOLEON XYLOPHONE and XYZ by Frank Lambert. I was originally called to attention about the beginnings of this trilogy by seeing the stunningly eerie cover of XYZ in a First Reads giveaway. I loved this cover art so much I tweeted to the author about it. I found out on Goodreads the first book was titled NAPOLEON XYLOPHONE so I went to Amazon to scope it out and found a free chapter sampler. Which I am sad to say, isn't offered by Amazon any longer. I read a little bit of the first chapter and stopped because the story was so fabulous, I knew I would be even more hung up about not having the rest of the story if I read the entire sampler. Since then I have procured both as review books and am living happily. There is a unique story behind the story... grab a cup of tea and I will tell you. "Frank [Lambert] has two main projects on-going right now, Napoleon Xylophone and Witching Hole. Both of these trilogies have a young disabled school boy as the main protagonist. Frank was inspired to write these stories by his young disabled son, Mikey, who is absolutely perfect. Mikey wanted to read about disabled hero’s he could look up to and dream about becoming one day. Without Mikey, Xylophone and Witching Hole would not exist. Without these two stories, Frank Lambert the writer would not exist." 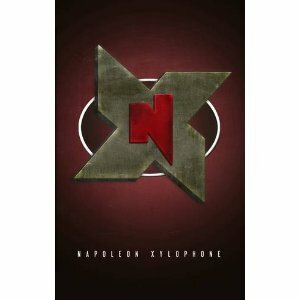 HERE is a wonderful article written about the author, his son, and the book, Napoleon Xylophone. I wasn't going to do a TMT this week because I have been so busy this last week and I am still reading the same book, STONE in the SKY, but I saw everyone's fall reading lists going up, so I decided to do a mash-up. Tell Me Tuesday is co-hosted by me and my blogging bestie Brittersweet from PLEASE FEED the BOOKWORM. It is a weekly/bi-weekly feature where you tell us what you are reading and what you are hoping to read next from your TBR. We are followed by the ever so lovley Pili from IN LOVE with HANDMADE. This week tell us what is tops on your fall TBR!! My most anticipated autumnal offerings are The Retribution of Mara Dyer, I absolutely LOVE these books, and of course my hard earned ENSNARED ARC!!!! Sooooooo pretteh and fall colors, too!!!! The actual publication date is January 2015. 1. The book I am reading now Stone in the Sky, the sequel to Tin Star, because I need to get it reviewed on Goodreads, quickly. 2. Vault of Dreamers because I want to see what all the extreme ratings are all about. 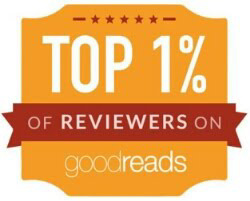 Readers seemed to either love it or hate it, and I am always intrigued by those types of books. This needs to be done ASAP so I can send it off to The Book Nut so she can satiate her curiosity, too. 3. THE BODY ELECTRIC!!!! I received my signed copy with all of its swiggity-swag, yesterday. 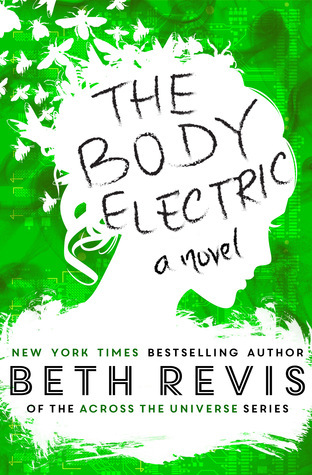 I adore Beth Revis' writing style, so this book should be a pleasing addition to my fall reads. 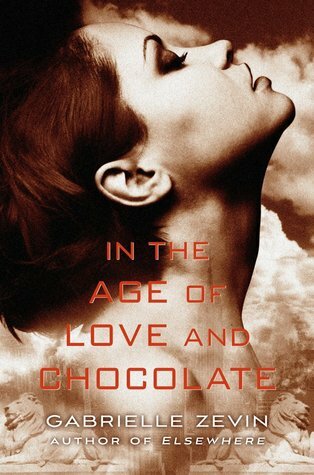 Her Across the Universe novel was the first YA book I read, and the trilogy is devine. These next two books were two of my most anticipated reads for last year. Why didn't I get around to them? Well, this blog of course. I was weighted down with ARCs when they came out and, floundering in the newness of blogging, so they kind of slipped off the radar. I am also over due on reading these two that were released earlier this year. These were also highly anticipated by me and the ARC pile just kind of took its toll here , too. 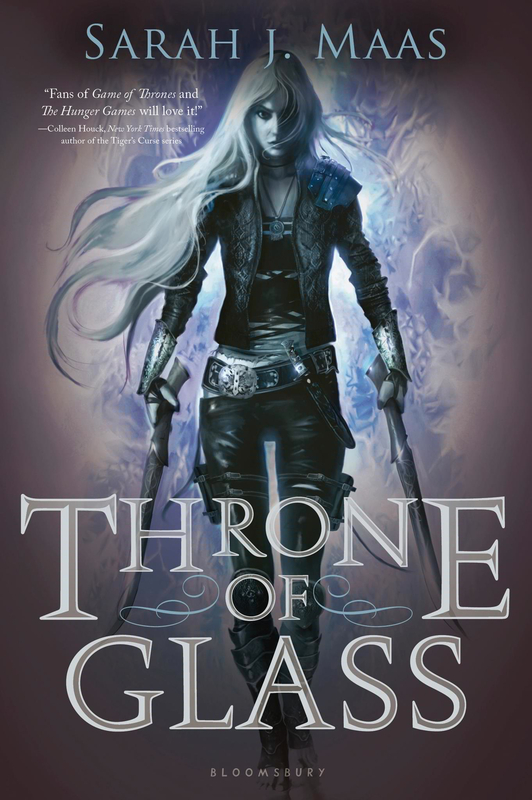 And of course if there is any time left over while also squeezing in ARCs, I will, as promised, be starting the Throne of Glass series. This has all made me realize I need to stay off Twitter. Hello!! Welcome to TELL ME TUESDAY a feature that seeped from the fried brains of myself and Brittersweet from PLEASE FEED the BOOKWORM after a mind twisting Armchair BEA Twitter party. This is a weekly, or bi-weekly, feature depending on your reading style, where you tell us what you are reading now, and why, and what you will be reading next from your TBR pile, and why. We are oh so curious why people read what they read. Right now I am only reading one book. STONE IN THE SKY is the sequel to my beloved TIN STAR. I think , by what I have read, that I was the first person to get my ARC! So you won't be seeing me around much because I want to be the first person to review it on Goodreads! I'll decide after I have a snack. Don't forget to drop in and peek at what Pili, our darling feature follower, from IN LOVE with HANDMADE is reading. 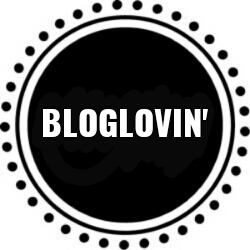 IT'S MY BLOGOVERSARY THIS MONTH!!!! This is how Britter and I felt coming out of the ARC August Challenge (in which I read double the amount of ARCs I pledged). And this is how I have felt going straight into my blogoversary preparations and beginning of the month blog posts. there is a CELEBRATION going on!! Join the festivities HERE and enter to win some of the prize packages. Okay, so I said last week I was only going to read what I wanted NO ARCS this week. Well, that did not quite happen. ARCs are partially ruling my reading, still, but at least the one ARC is something I have wanted to read. 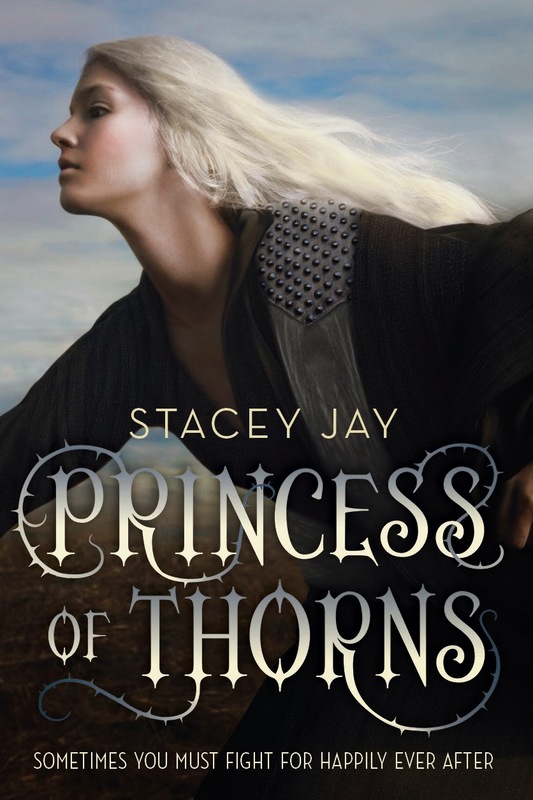 I am reading an eARC of Princess of Thorns from Netgalley. I think everyone who requested it was approved. After reading the first chapter I was thinking, ugh, I got sucked in by another pretty cover again (the lettering attracted me, too), but once again, thank goodness for my three chapter rule because it picked up toward the end of the second chapter. So if you are going to be reading this you are forewarned. The first couple of chapters had lots of holes and were full of fairytale cliches. 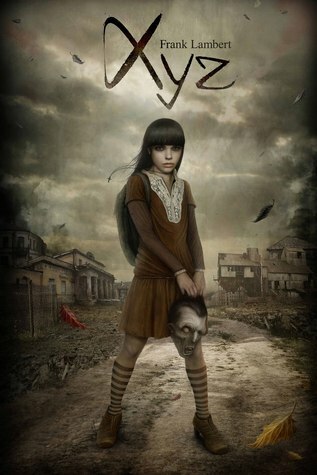 I saw the cover of the sequel XYZ in a First Reads giveaway. I immediately went to the Goodreads page to read up on it and the author. I found out there was a free sampler of the first book and when I started reading it I forced myself to stop because it was THAT GOOD, and I knew I would be uber-frustrated when I came to the end and didn't have the entire book to read. 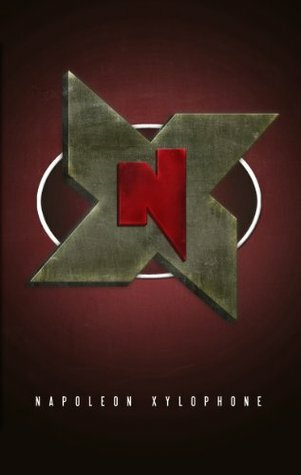 I immediately went to Twitter to tell the author how stellar the NX sampler was and he offered to send me the ARC of XYZ! So this READ is in a way ARC driven because I want to be ready for when XYZ arrives. The MC of these books is in a wheelchair and the author wrote the books for his son who is also in a wheelchair. DID I MENTION THAT IT IS MY BLOGOVERSARY?!!!! Yes, I know this is a gerbil. or Britter and Pili will have my head on a platter. I hope I love these books as much as they do because there is going to be three more books and I will be able to join in on the cover reveal and release date excitement. Speaking of Pili, she is our wonderful and loyal feature follower. We luff her so much, so make sure you drop in to see what's up with her reading pile at IN LOVE with HANDMADE. MY FIRST BLOGOVERSARY CELEBRATION + GIVEAWAYS!!!! I cannot believe it has been one year since I accidentally created this blog trying to authenticate a Rafflecopter entry for one of author A.G. Howard's giveaways. Let's CELEBRATE and have some cake!! I was like, "Huh, wha... I have a blog?" I figured as long as I had it, I would use it. It was one of the best decisions, ever!! "I am well into a Words With Friends (Strangers) addiction, and I am letting it cut into my reading time; someone please help me ..."
This was my first gif usage.. Which by the way, weirdly and coincidentally, fits my gif theme today. My antique book background has been the same since day one. *About the "strange cookies" quote that appears both here and on my current masthead. Once I bought really cheap cookies, you know, the kind that come in a large cardboard box (and taste like the box). My son, who was four at the time, told me never to buy those "strange cookies" again. 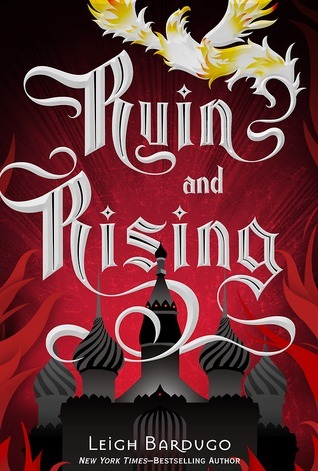 Because the wonderful A.G. Howard was the reason I had this blog, I made sure my maiden voyage book review was for the first novel in her Wonderland trilogy. See the 4 1/2 STAR review, HERE. A.G. figures into a lot of my bookish pursuits, so in honor of this, she, Wonderland, and her Splintered books will be a large part of my Grand Prize Package! 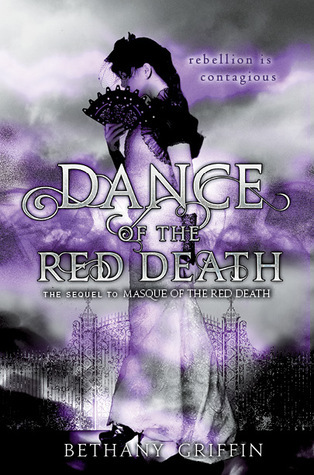 This next book and author were my first experience with a blog tour and interview. The author Joe Kipling (who is a lovely lady, btw) is a fellow Potterhead and Ravenclaw I met through a friend on the internet, so when I heard she had written a book, I bought it in support of my Hogwart's housemate. 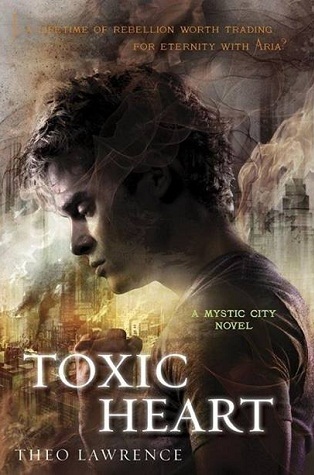 I was thrilled (and relieved) this YA Dystopian was fab, and unique from other dystopian stories. You can view the character interview, HERE, which also contains a link to my blog review. Funny enough, A.G. also had her fingers in this blog event, too. She gave me the idea for doing a character interview, and I stole one of her character interview questions, "What makes life worth living?" 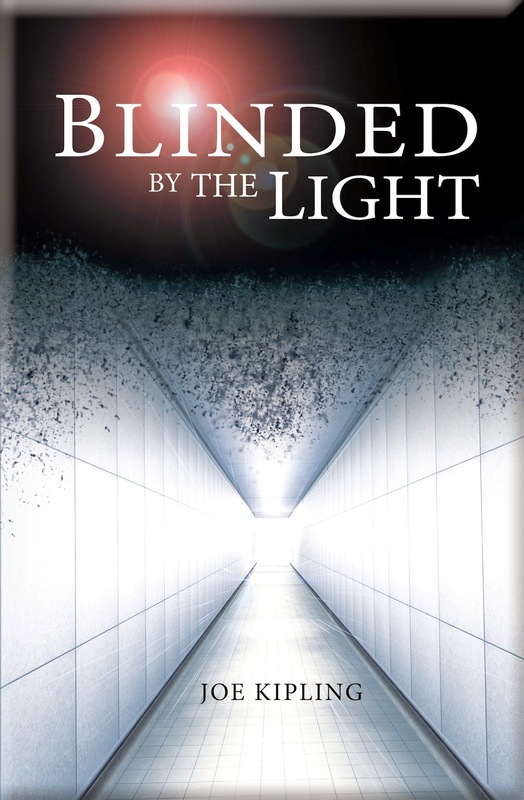 I am honoring Joe and Blinded by the Light with a "Brit Pack" giveaway, which includes her novel in paperback, and a BbtL bookmark. Thank-you for the book donation, Joe! But despite Blogger, and Fhkeindle the Kindle demon, I feel pretty well settled now. This is all due in part to Octavia from Read.Sleep.Repeat., answering my newbie blogger questions, (mostly via Twitter), and my fellow Skullblogger, Brittersweet, from Please Feed the Bookworm, buddying up with me to take on the quest of unraveling the mystery of successful book blogging (by any means possible). SKULLBLOGGERY!!!! Again, another A.G. connection; I met Britter through the Splintered fanclub boards on Goodreads. There is also a SKULLBLOGGERY prize pack, up for grabs, to honor my BBB,B (Best Blogging Buddy, Brittersweet). It includes a copy of the *wuzzies* tote I made for her. 1. I wanted at least ten followers before I did my first review. 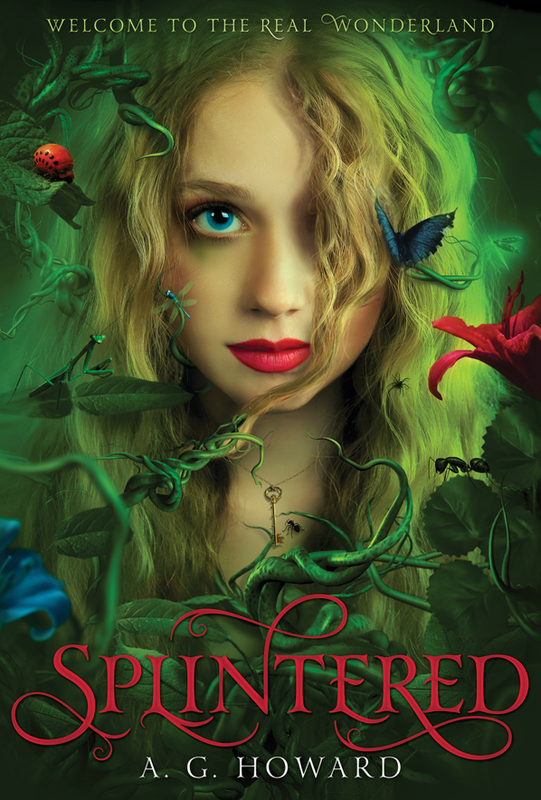 I waited and waited for ten followers, so I could review Splintered in good conscience, but I won an ARC of the second novel, Unhinged, and needed to get it reviewed before I reviewed Unhinged. 2. I wanted 10,000 blog views before my blogoversary. As you can see I fell short of this number by about 600 views. I don't feel too bad though because at current rates that is less than one month's views and I have never done any giveaways before this one. 3. I wanted to do a guest post on another blog. I know, I know, Britter... you asked me to do a guest post on your blog, but because you are my bestie it doesn't count. 1. I was included in a blog tour. 2. I received a Liebster Award. 3. I started a feature. I co-host Tell Me TuEsDaY with my clever Skullbloggery buddy, Britter. She came up with the idea after a brain-frying Armchair BEA Twitter party. We even have one feature follower: Pili from In Love with Handmade, as well as several bloggers who comment regularly. 4. I have made tons of bookish friends. 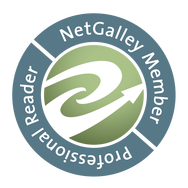 I have met 100s of wonderful bloggers, authors, and readers because of this blog. 1. 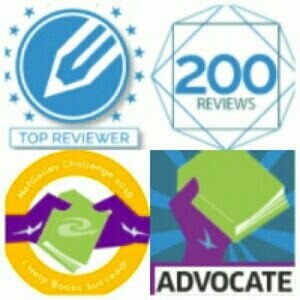 I need to get all of the four and five star rated books, I have read in the last year or so, reviewed here on the blog. 2. I need to do a review index. 3. I need to do an archived post content index. 4. I need to do more giveaways. 5. I need to fill out my "about" page. It is an empty space. Okay, now let's get on to the GIVEAWAYS!!!! First I want to say that somehow all of the givie packs ended up having some kind of tea in them, but I guess this is apropos seeing that the Grand Prize package is Wonderland themed and we also have the Brit Pack. 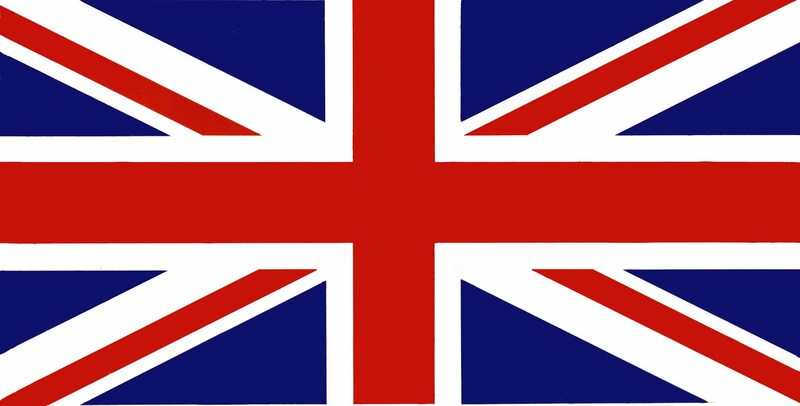 The first givie is only for international followers. The Skullbloggery prize pack is open to both US and Canadian followers. As soon as I get around to it I will replace this with a photo of the prize pack items. * Just so you know... the holographic Scholastic collectors' Harry Potter bookmark in this pack is going for $16.00 on eBay. HERE IT IS... so pretty. I will also be adding one or two surprise items to this Wonderland swag. A box of A.G.'s favorite tea. A ribbon bag of my favorite reading tea. I was introduced to this tea by a The Leaky Cauldron Harry Potter social site, friend, Xyra, via her American Girl's Doll blog, Tea Time with Melody Q. She occasionally reviews books and regularly taste tests teas (say that ten times fast). Xyra is quite a tea purest, and I love knowing I make her squirm when I say I make this blackcurrant tea with sugar and HALF & HALF!! Prepared this way it tastes like liquid candy. Yum. A.G. introduced me to my new imaginary boyfriend Miles Mcmillan. Now, she did have him posted as a possibility for Morpheus, and we all know I am a die-hard Jebutaunte. However, she now seems settled and content with Ezra Miller (The Perks of Being a Wallflower) for the mothy guy, so I have stolen Miles for my skaterboy Jeb. Anyway, because of dream boy Miles, I am in including a paperback copy of Dream Boy. 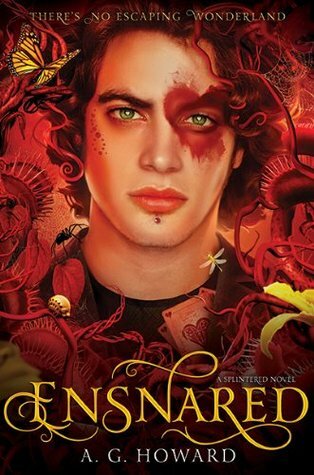 A $10.00 Amazon giftcard with which I hope you will buy Splintered by A.G. Howard if you don't own it already. You can read my review of Unhinged, HERE. 1. You must be 13 years of age or older. 2. NO CHEATING!! I will check every entry. If you cheat you will be immediately removed from all of the giveaways. 3. Only one contestant per household. 4. Prizes will not be sent to P.O. boxes. 5. I will not be responsible for lost, damaged, or stolen items. The larger packages automatically have tracking and insurance, so be sure to inform me of missing or damaged items. 6. You will have 72 hours to claim your prize after notification, or another winner will be chosen. The Skullbloggery prize pack is US and CANADA. I forgot to put that on the Rafflecopter. ATTENTION: If you already follow by any of the options, or have the featured books on your Goodreads shelves you are entitled to those entries, just leave the authentication information. The winner of the GRAND PRIZE is Lupe B. This being my first Rafflecopter experience I accidentally hit disqualify on her Random.com announcement, so it is not showing up on the Rafflecopter. Congratulations to all the winners!! DID YOU FIGURE OUT WHAT MY GIF THEME IS?